Richly sweet, chocolaty. Dark chocolate, caramel, date, gardenia, cedar in aroma and cup. Deeply sweet structure with round, gentle acidity; velvety mouthfeel. The chocolate-toned finish leads with notes of date and caramel in the short and cedar and gardenia in the long. This exceptional coffee was selected as the No. 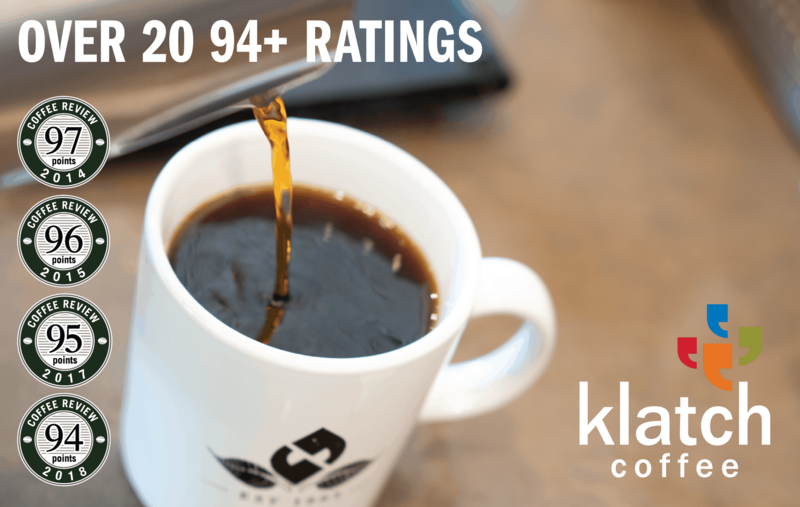 29 coffee on Coffee Review’s list of the Top 30 Coffees of 2018. Kanyonyi Coffee Blend is named after the former lead silverback gorilla of Mubare Gorilla Group, the first group habituated for tourism at Bwindi Impenetrable National Park, Uganda. 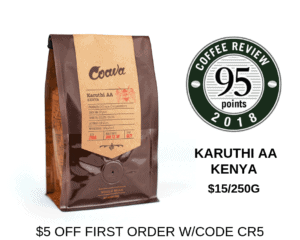 Gorilla Conservation Coffee pays a premium of $0.50 per kilo above the market price to coffee farmers living close to the gorillas around Bwindi Impenetrable National Park, as well as supporting them with training in sustainable coffee farming and processing. Additionally, for each kilo of roasted coffee sold, $1.50 goes directly toward work to preserve mountain gorillas. Visit http://gorillaconservationcoffee.org/ for more information. The Bottom Line: The sale of this impressively chocolaty and floral Uganda cup provides multifaceted support aimed at preserving mountain gorillas in their human and natural environment.